The ASU and Georgia Tech team’s elimination of these two seemingly insurmountable defects (non-uniform composition and mismatched lattice alignment) ultimately means that LEDs and solar photovoltaic products can now be developed that have much higher, efficient performance. 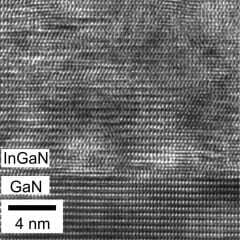 “While we are still a ways off from record-setting solar cells, this breakthrough could have immediate and lasting impact on light emitting devices and could potentially make the second most abundant semiconductor family, III-Nitrides, a real player in the solar cell field,” says Doolittle. Doolittle’s team at Georgia Tech’s School of Electrical and Computer Engineering also included Michael Moseley and Brendan Gunning. A patent is pending for the new technology. April 17, 2019 - It's all about the efficiency pv magazine USAAn analysis by mono PV maker LONGi shows the math on how increases in module efficiencies drive down balance of system costs. April 2, 2019 - What is the Most Efficient Solar Cell Out There Today? NanalyzeDespite the fact that the sun only shines sometimes, solar energy has proven to be a viable alternative to beautiful, beautiful coal and other fossil fuels.